I hope you are all in the mood for some green today!! 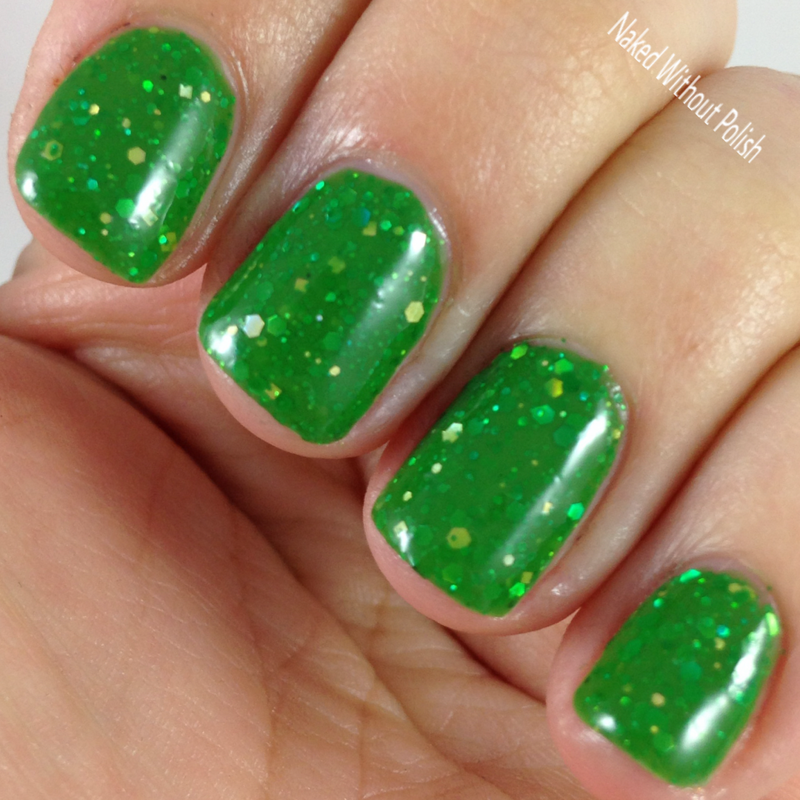 I've got LE Polish's upcoming St. Patty's Day Duo to show you all. This duo is named after the Dropkick Murphys song Kiss Me I'm Shitfaced. I've included the song for you to listen to as you're browsing the photos and reading. I'm a big fan of greens and these did not disappoint. We are going to keep this short and sweet because I'm finally feeling better so I have a lot of swatching to catch up on. 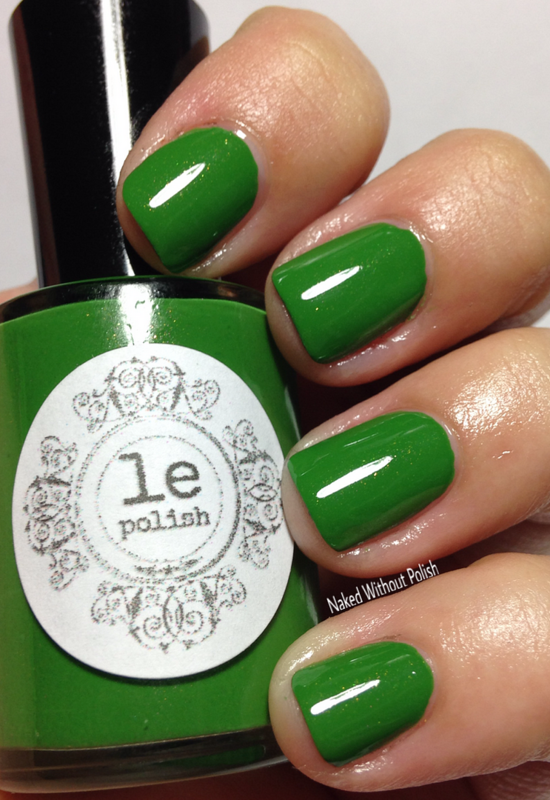 For now...GREEN POLISH!!! 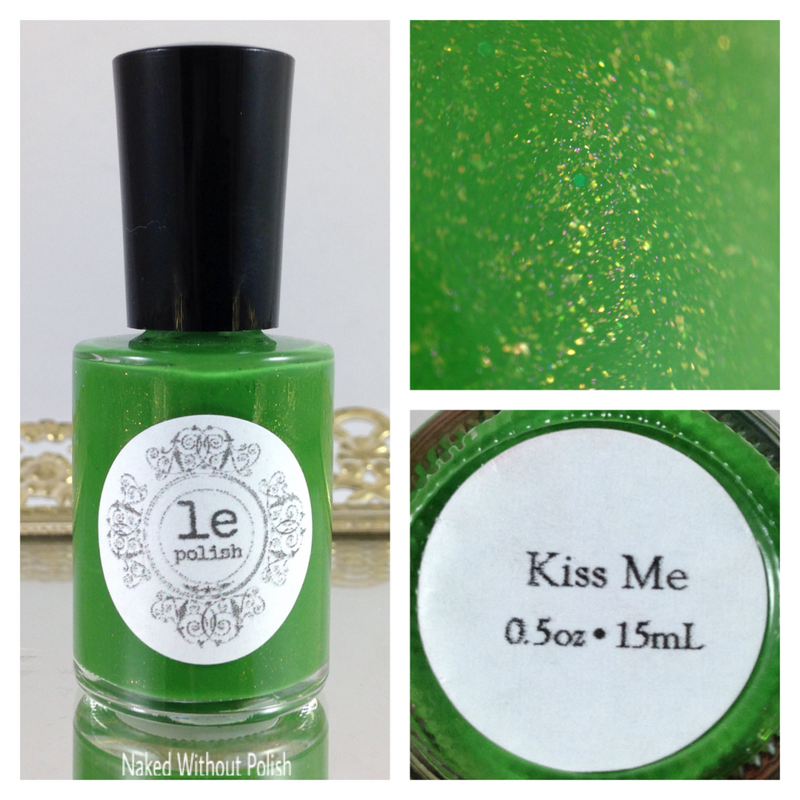 Kiss Me is described as "a medium green loaded with pink shimmer". Shown is two coats of Kiss Me with top coat. Kiss Me was practically a one coater. I do thin coats, so I did two coats to be safe, but you could easily do one. Application was buttery smooth. Filled with a pink shimmer that comes off copper, and gold flecks, this polish perfect on it's own or as the base for some nail art. 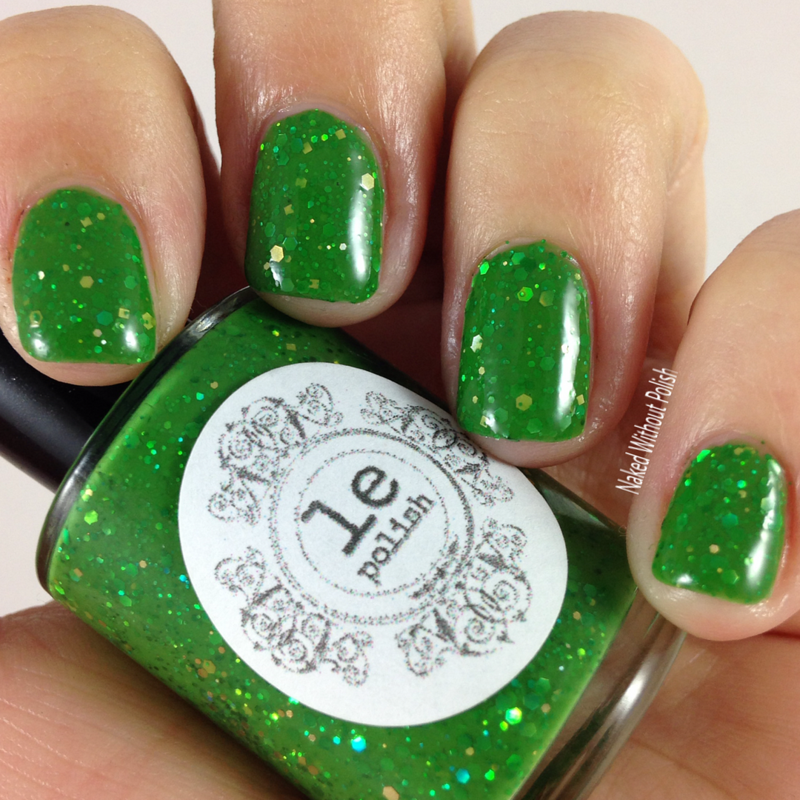 I'm Shi...Irish is described as "a green jelly base with green and gold holo glitter". 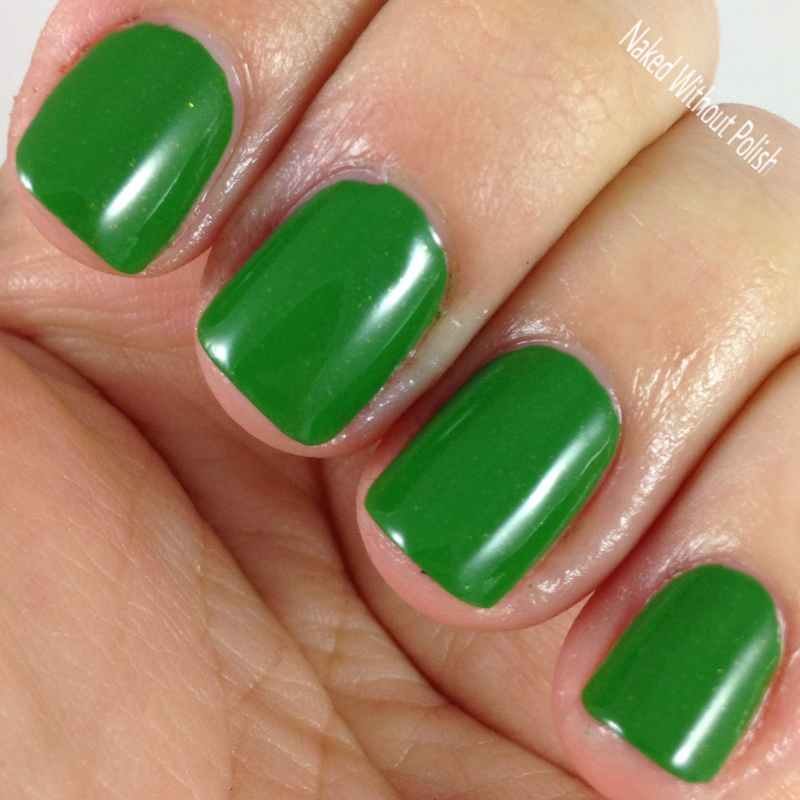 Shown is two coats of I'm Shi...Irish with top coat. 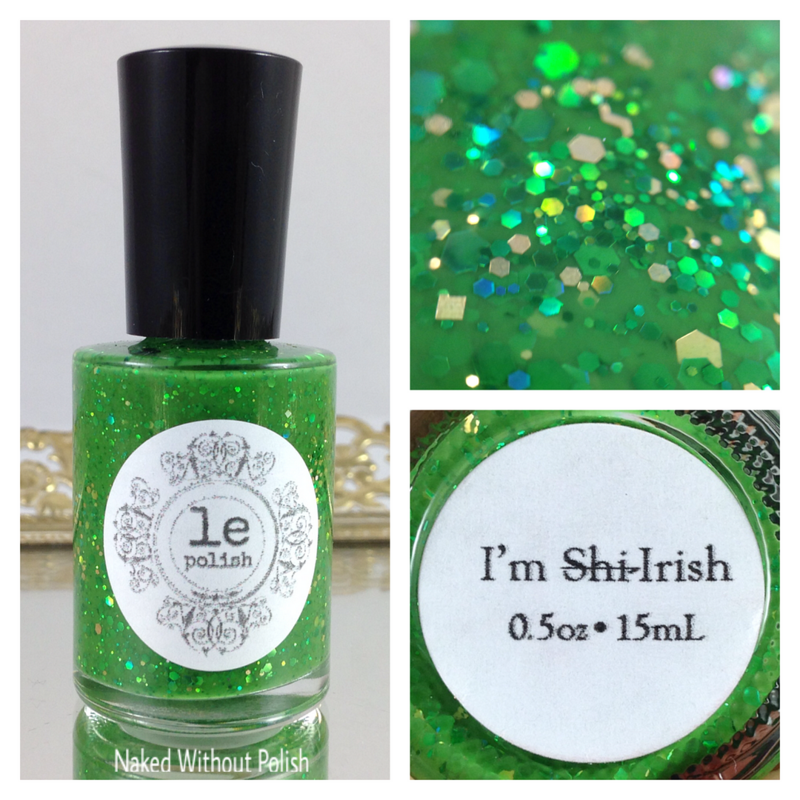 I'm Shi...Irish is more of a crelly. It's not as sheer as I was expecting when I read it was a jelly. 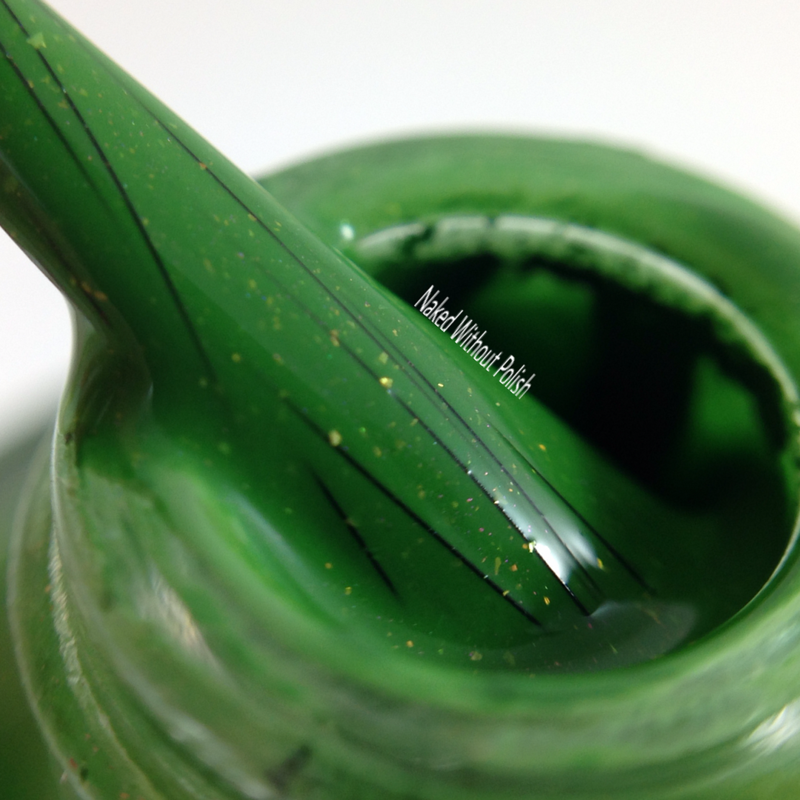 Two coats will get you to full opacity. 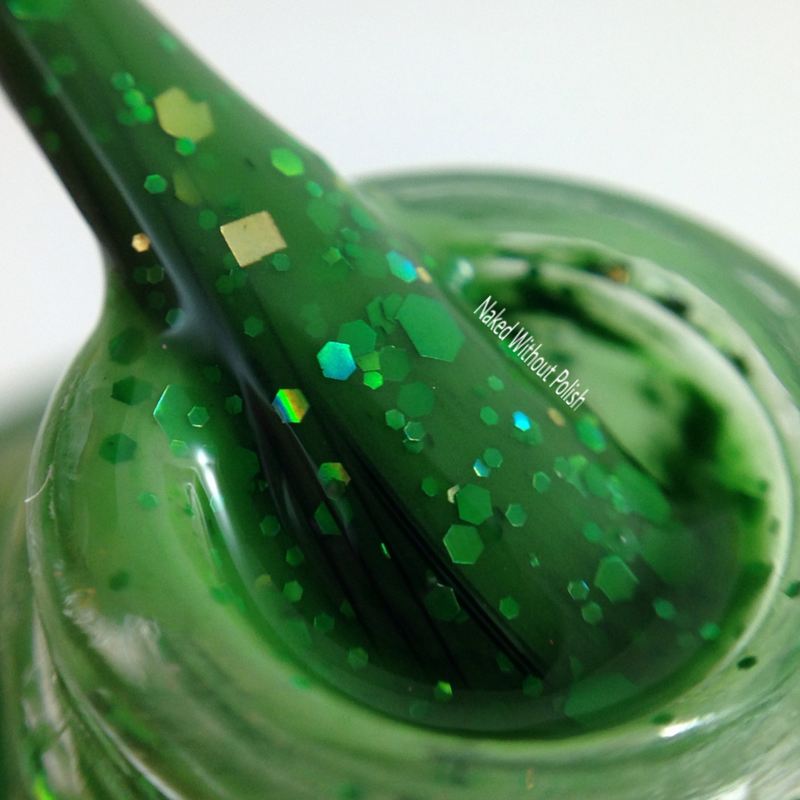 Despite all the glitter in this beauty, there were no issues with application. Her formulas are spot on! 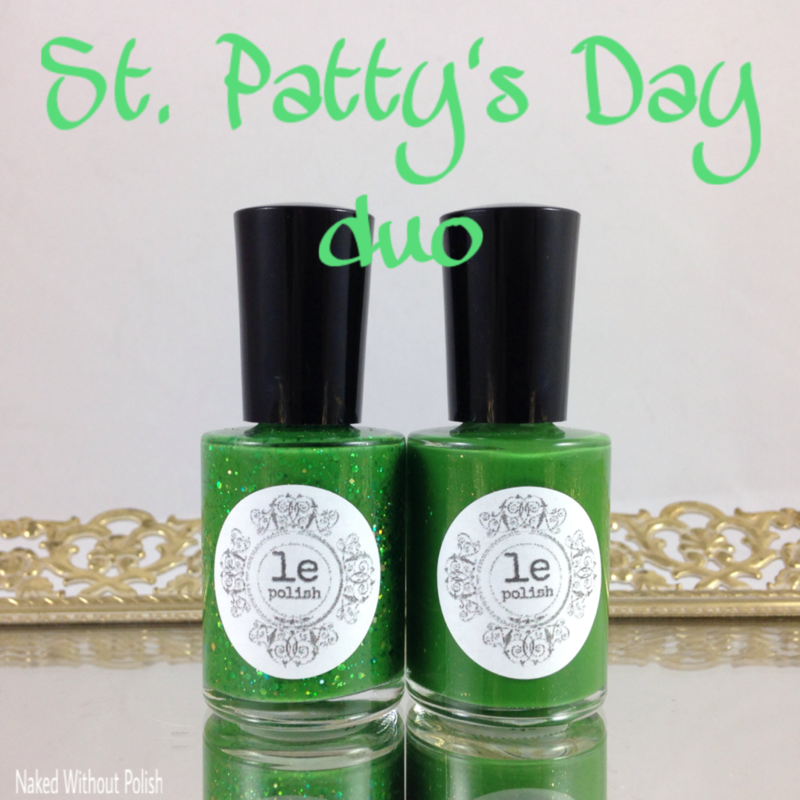 LE Polish will have the St. Patty's Day Duo available on Friday, February 26th at noon EST. 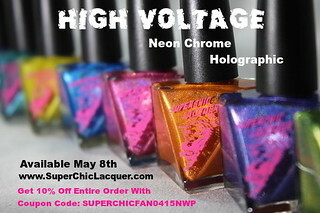 You can grab the set of two for $11 for minis or $19 for full sized. Only like one of the two? 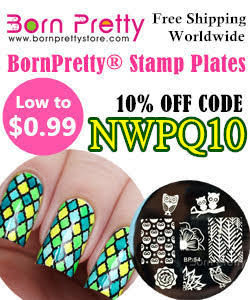 Get them individually for $6 for minis or $10 for full sized. 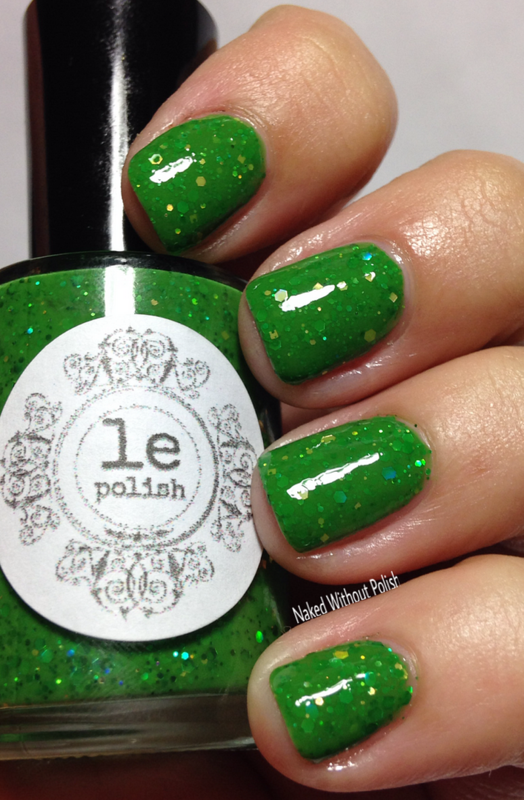 LE Polish has been killing it lately, and the St. Patty's Day Duo is no exception. These greens are incredible. Don't miss out on having them in your life! 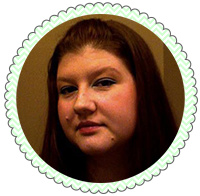 Follow LE Polish on all of her social media platforms (links below) to keep up with news, sales, and new releases.